A lot of fitness enthusiasts are raving on about the latest home workout routines craze which is bodyweight strength training. It is a favorite of a lot of people because it is free and is something that can be done practically anywhere! You don’t necessarily need equipment to complete bodyweight training and if you do it weighs almost nothing and takes up very little space. You can choose if you want to complete your workout outside or at home, but either way you can more or less do the same routines irrespective of your location. A low wall or chair will do the job for your tricep dips and a lightweight resistance band to work your biceps. You simply need yourself for the rest like lunges and planks. You can easily create your own home workout routines which will give you both cardio and strength training. Exercises like high knees and burpees are your cardio side, and then complete your sets of strength training like lunges or push-ups. High Intensity Interval Training (HIIT) is intense and short workouts that are very easy to do. You will see quick results with these as there is no need for equipment; you are not losing any time going from equipment to equipment. Cardio and strength training combined as a workout is great because you are burning fat whilst completing the routine and for a long time once the workout is over. 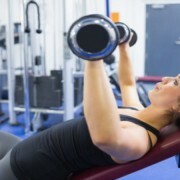 This is due to your metabolism continuing long after your workout has finished known as the after burn. Your muscle mass will develop and this needs more calories even while your resting so your calories burnt each day will be a lot higher. Don’t be fooled, bodyweight training is tough even if you are the fittest person in the world! Adjust the intensity of the workout to suit your fitness level in order to achieve the best results. Some people think that you need to pay a gym membership every month in order to get fit but this isn’t the case. Bodyweight training is becoming more and more popular because of the fact that there is little or no expense. Being able to complete it anywhere you like is also a huge benefit. 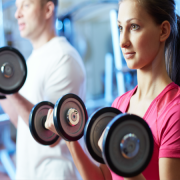 One dumbbell for your weighted lunges, a set of resistance bands and an exercise mat would be the maximum equipment you would need to buy for strength training but it is not essential. Your own body weight and determination is all that is required. After seeing all of the benefits of bodyweight training it’s easy to see why it is becoming so popular!